Hebrews, although among the largest and most significant letters in the New Testament, remains one of the least appreciated. Profound, mysterious, deep, and sometimes difficult to understand, this book deserves our time and attention. 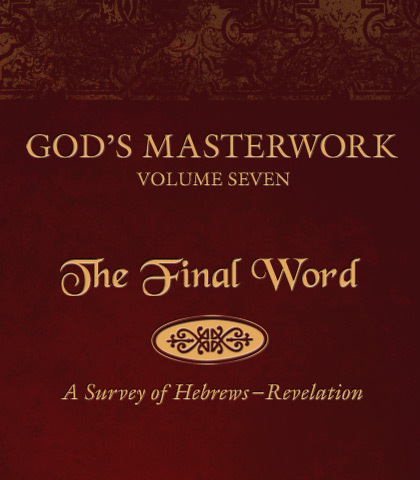 Rich in Jewish history and filled with quotations from and allusions to the Old Testament, the study of Hebrews requires concentration plus a fairly firm grasp of how God revealed Himself to His people in ancient times. Those who master this book are keen students of such subjects as the priestly system, sacrifices, traditional Jewish feasts, and the tabernacle. Bedside reading, Hebrews is not. But for those who go to the trouble of working their way through these 13 chapters, the investment yields rich and rewarding benefits.